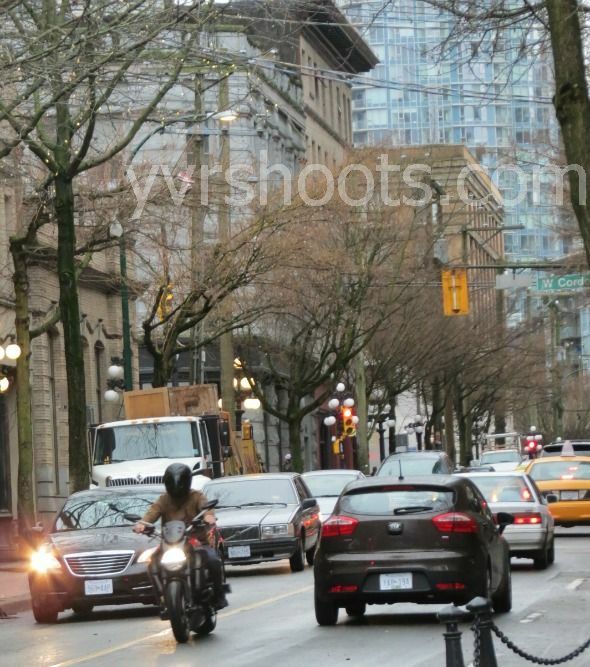 Arrow closed the 200 block of Abbott Street in Gastown this morning to film a motorcycle weaving in and out of traffic. Note the prop yellow cab with Fringe’s Reward Wire ad on top. 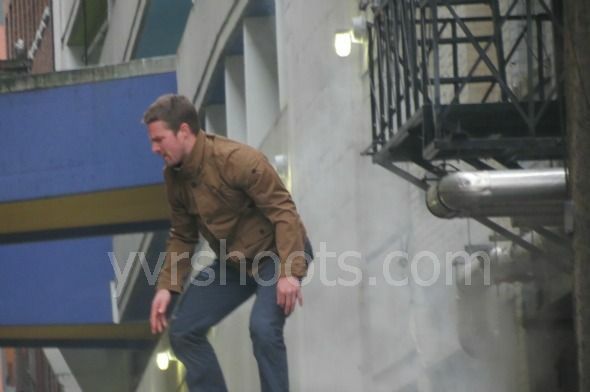 Star Stephen Amell and Oliver Queen/Hood stunt double Simon Burnett are alternating scenes. 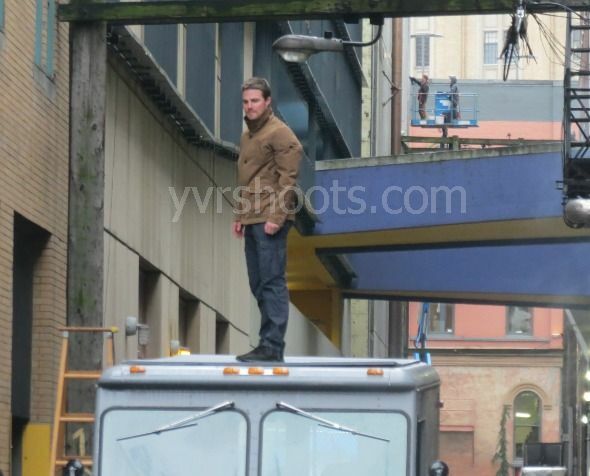 Here’s Amell filming a scene of him landing on a truck. His stunt double did the controlled slide from the fire escape stair ladder. Arrow airs on Wednesday nights at 8 p.m. on The CW in the U.S. and at 7 p.m. on CTV in Canada.